I implemented the first step of a global alarm. Hell breaks loose if it triggers. Will post it soon once its polished! I reworked all enemy behaviours beside that. Much more fun to play now. Still finishing up the dependecies when an alarm is triggered. I added security cameras as well but i dont want to go too much into the stealth direction. Its an action game. Beside that i went back to the concept of the meta game. There is the space map as you know which is already fun to explore but i was still asking myself: What is the goal for the player? I always had "finding Space Eldorado in mind" but i dont think that this is a good goal. You would have to find 20 pieces of data hidden in the galaxy whoch would point towards Space Eldorado. Its like finding the planet Orion in Master of Orion II: Battle at Antares. Its nice and exciting but maybe not strong enough to be the goal of the game. So is was wondering...what you want todo as a pirate? Become rich and have a fantastic life? One idea which i want to share and get your thoughts on is below. What if there is a checklist? Adding a bit of humor. You have to fulfil all the goals to become the one and only space pirate! becoming richer and richer (idea above) untill you are the Space Pirate? Not sure yet about my last topic. I want to play the game a bit more to find out. There for i am building a lot of levels. How does a space pirate actually attack another ship? I embedded info graphics which appear when you encounter a ship. Not my type of game but I love the progress . Thank you for your efforts posting the steps you think about! Replies like these push my motivation. I would like to share some thoughts on performance as i am trying out a lot of different things. 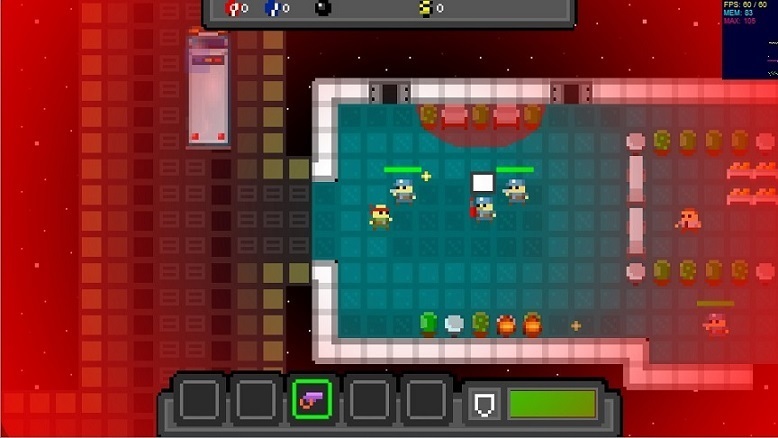 Space Pirate started out as a pure Flashgame but i want to release it as PC/MAC download. I had a similar experience as Pete with Ghost Song. The game was started using Stencyl 2.2 and i ran pretty fast into performance issues. Porting the game to Stencyl 3.1 was a bit of a nightmare but i got a huge performance increase. The performance kept decreasing though the more and more features i added when compiling Flash. I didnt encounter performance issues when exporting an PC exe file. Still i was wondering what the main reason for the performance problems in the flash version was (and this might be interesting for you). 95% of my features worked with regions. 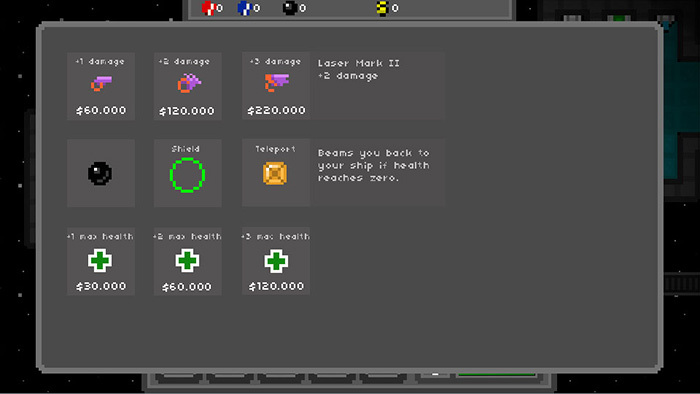 Examples: touching terminals, enemy behaviours, rewards. I removed nearly all regions. Instead i increased the actors and added a invisible "player detection" collsion shape around the actor. I got a huge increase in performance. Beside that, i noticed that multiple regions which are on top of another have a huge negative impact on perfromance. This had a much smaller impact but still it helped. Not as much as the regions though. Number of tiles of a scene? Not sure about this. Its more about the code you are using in a scene. I created very big simple scenes and they worked pretty well. Last week was intense. I added 5 locations (reworked Alien Ship, Space Bank, a ship with a new faction "ice" and some smaller huma ones) and a lot of features i wanted to have in place. The starmap is working better now and the game is starting to take shape. I updated the demo. Try it out if you haven't played yet. Exporting an exe file for PC seems to work fine with an outstanding performance. This will be the last bigger demo update before the Alpha. I want to focus on the coin economy and the game goal. Maybe start thinking about a skill system and weapon upgrades. Which hero would you prefer to play? ...or would you like to customize yourself? Why dont you play a different character on each playthrough? Well...why not! I like it. This demo proved to me that the levels are fun and i still have lots of ideas what to add. An important step. I am focusing now a lot on the gameplay in betwen. Looking great so far,and there is still great potential in developing this game,i really look forward to see the final. Btw what size will be this game for PC when exported? You are not thinking about that,just developing your ideas,and then how it turns out? Since i saw you are talking about performance issues,and i will probably develop some of my games for desktop also,so interested about that. Also not sure about that region issue,can you make switches with simple collision recognizing instead of regions,is that the point or? Talking about size i guess you mean the complexity and scope (otherwise the answer is 8MB). I think the beauty of indie games is that you have the chance to explore a lot ideas. The game can turn out much more interesting (of course... it looks much much simpler and doesnst have that much content compared to a bigger studio production) if you have the chance to try stuff out and follow ideas. I want to finish the game by end of the year. That means that i have to be ready a couple of weeks/months earlier to test and finetune. This is my rough timeline. I can add as much features as long as i think i will be able to make that date. I believe that ideas are not much worth it until you try and test them. There for i want to build all ideas which i think are good. For example: i reached with the last demo the "the levels are fun enough". Now lets focus on what happens in between. Regareding the collisions: Yes i used regions before, took them out and just used a second collision for each actor. that helped a lot. I am still wondering if i should hire an artist and bring the art to more complex and unique level. Work continues after a busy parental leave! I am concepting this week all the ideas and open question and comiling them into a nearly final milestone plan. It was helpful to not work on the game for some weeks (to get a better overview again). I will update you end of this week. I am in love with the idea of different game starts and fleshing that out. 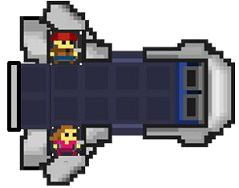 I am concepting the idea of crew members which can be rescued and will give the player the possibility for upgrades and new features. I decided to implement the upgrade system first because it supports all other systems in the game. A rough version is working and i will finetune and finish it till the end of next week.